This popular coastal town lures couples, families and groups of friends who love its old-timey fun (there's a boardwalk amusement park) and broad, gorgeous beach. A nearby wildlife refuge and state park provide a haven from the summer crowds in town. It might seem odd to come to a beach town and head out to a pond, but hear us out: The Gordons Pond Trail, located at the same-named state park, runs through forest and wetlands as well as over dunes, offering sweeping views of the Atlantic from boardwalk observation points. This is crustacean central, so why not go crabbing? One popular spot, the Delaware Seashore State Park, is set on a barrier island and offers fun programs like the evening Wild Crab Chase, where kids can look for ghost crabs. You've got to love a hotel where there are only two room choices: Oceanfront and ocean view. 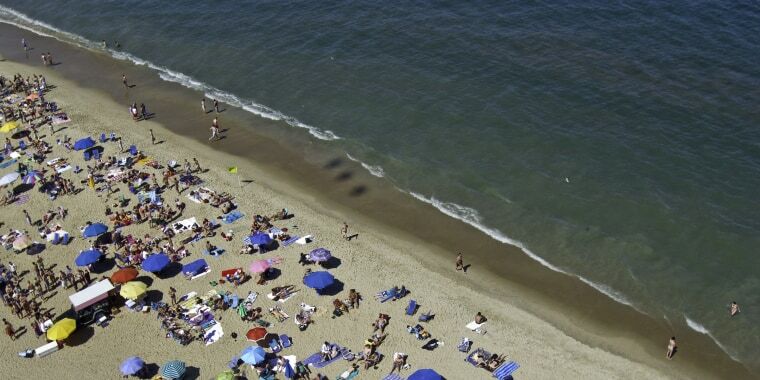 That's the case at the Henlopen Hotel, which sits at the quieter end of the boardwalk and offers both rooms and suites. There's underground parking, so you can ditch your car for the week and not worry about driving in town. A recent renovation has left the guestrooms at the The Bellmoor feeling fresh and stylish, and guests rave about the hearty breakfast and afternoon tea service, both of which are included in the room rate. With two pools (one adults-only) and pretty public spaces like the elegant courtyard, the staff does a masterful job ensuring serenity for both families with kids and those seeking peace and quiet. The hotel is just two blocks from the beach, and there's a shuttle to minimize schlepping. Just two blocks from the water, the staff of 208 Social say they welcome guests "right off the beach or dressed for a night on the town." If your kids eat early, come for happy hour between 5 and 7 p.m. and fill up on half-price snacks like mac and cheese, truffle fries, battered cauliflower and oysters. You'll be back at the hotel in time to tuck them in at a decent hour — consider it the perfect crime. After a day on the sand, Dolle's Candyland is a must-stop before heading home — this saltwater taffy and fudge shop, open since 1926, is easily spotted by its iconic orange sign. Looking for more of the best vacations with kids? Check out TODAY's Family Travel Guide.